Christmas is only 8 days away. Have you ordered your Holiday Cards yet? Maybe you are like me and took advantage of Black Friday Deals to only realize that you are several cards short! There is no way I want to pay for expediated shipping to get these on time, heck I think I spend less on 200 cards earlier. 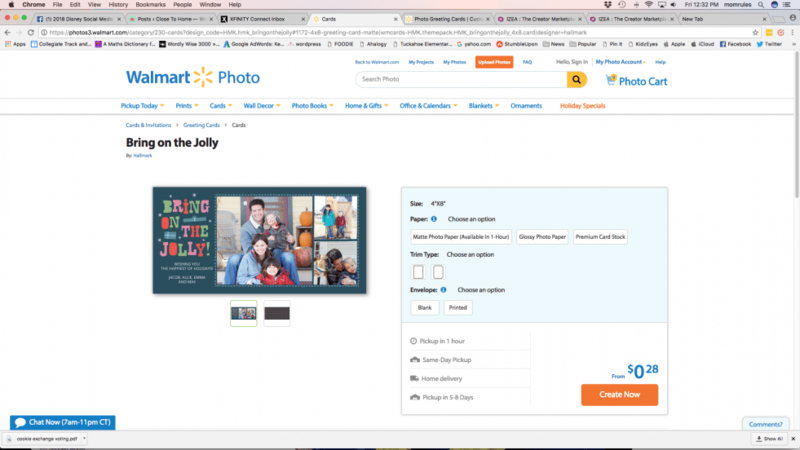 Well the folks at Hallmark have teamed up with Walmart Photo to give you Exclusive designs available in an hour. 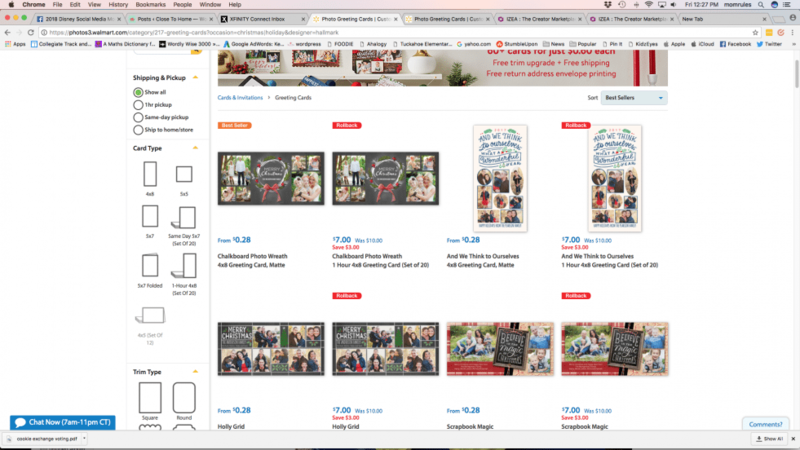 Yes, holiday cards in an hour during the busiest season. 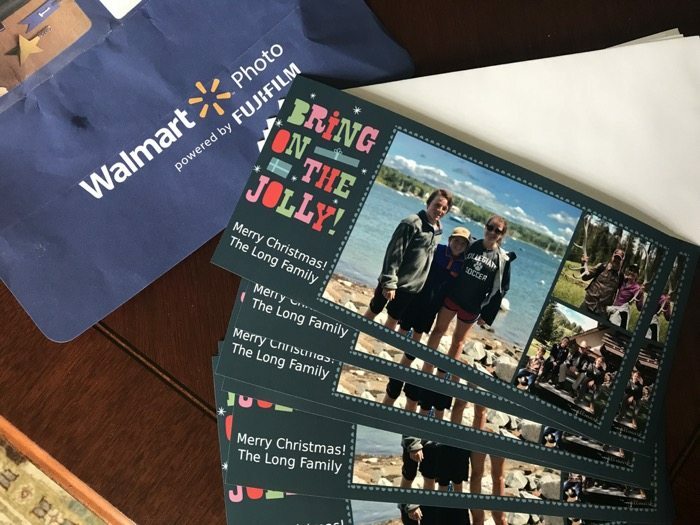 Since I had already had my photos chosen, it took no time to customize and purchase the extra holiday photo cards. Did I mention they were available in an hour at no extra cost and obviously no shipping costs either. All of Hallmark’s exclusive designs are located here. You can get card stock photo cards or for the one hour, the photo paper. 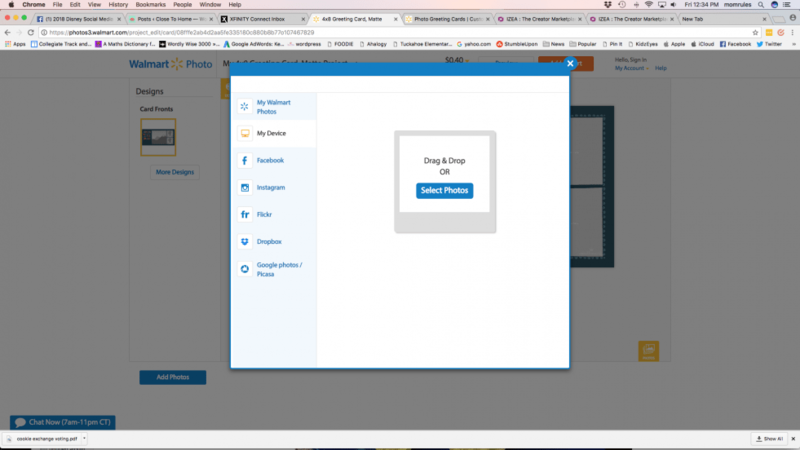 Another feature I liked about the Walmart Photo site is that you could get photos from multiple locations like Instagram and Google Photos. Maybe you thought it was too late to order and send holiday cards, well now you really don’t have a good excuse. They have a fun selection of New Year cards too! 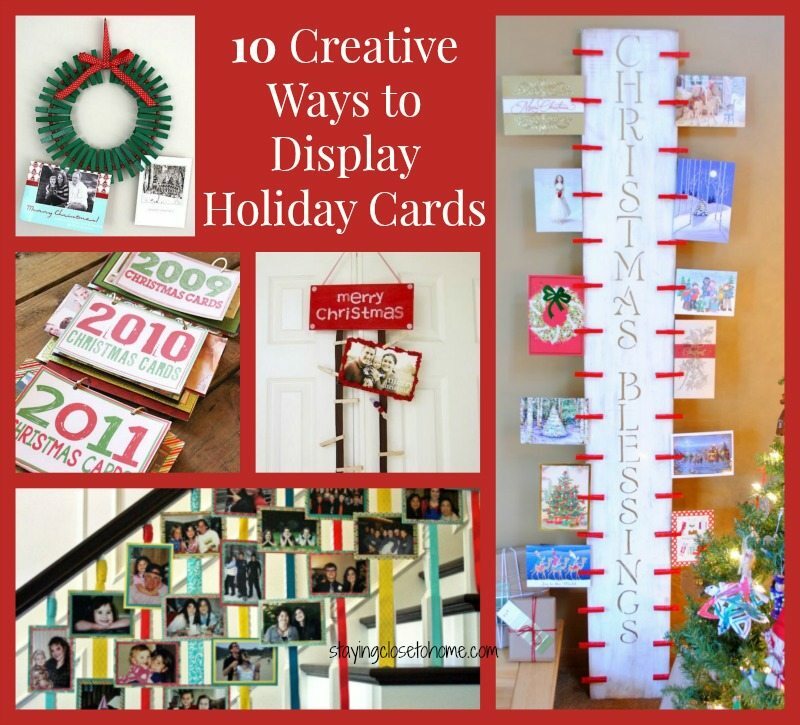 Talking about holiday cards, be sure to check out our fun holiday card displays.